Finding the perfect storage space can be difficult, as you want to protect your images from all the elements. Keeping your images in a photo album is one of the simplest ways of keeping them safe. The best kind of photo album to use is one of good quality. One key aspect you want your photo album to have is non-acidic pages. 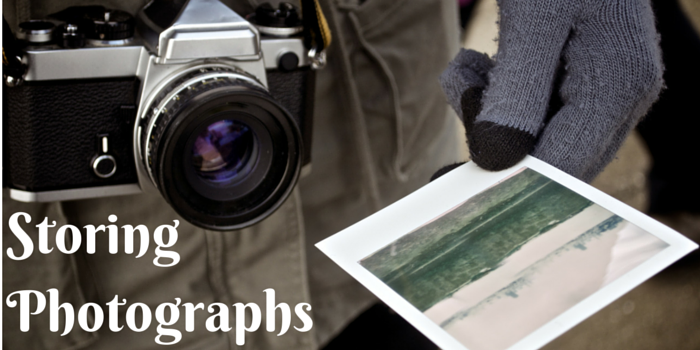 Acidic pages will sometimes cause damage to your photographs. Buying a photo album, which comes with greaseproof paper pages in-between, each page is ideal, as it will prevent the pictures from sticking together and removing ink from each other. Using a storage unit to store your images is a perfect solution, especially if you are short on space in your home. To store photographs in a storage unit, it is ideal if you use a plastic box with a lid. This is better than using a cardboard box, as it will prevent your photographs from getting soaked if the unit is flooded. To be absolutely sure that your photographs will not get damaged if there is a flood, storing them up high is the perfect solution. Trying to avoid handling your photographs is the most important way to protect your images. Your hands contain oils and salts that can cause damage to photographs. The easiest way to prevent your hands damaging photographs is to wear white cotton gloves. If you do not want to buy white cotton gloves, then washing your hands with soap before handling photographs will limit the damage caused. The best place to hold images is around the edges; this will stop any fingerprints being visible on the image. It will help to avoid the oils from your hands lifting any of the ink from the photograph. Photographs can last a lifetime if you look after them properly. These simple steps will ensure that your images see future generations.